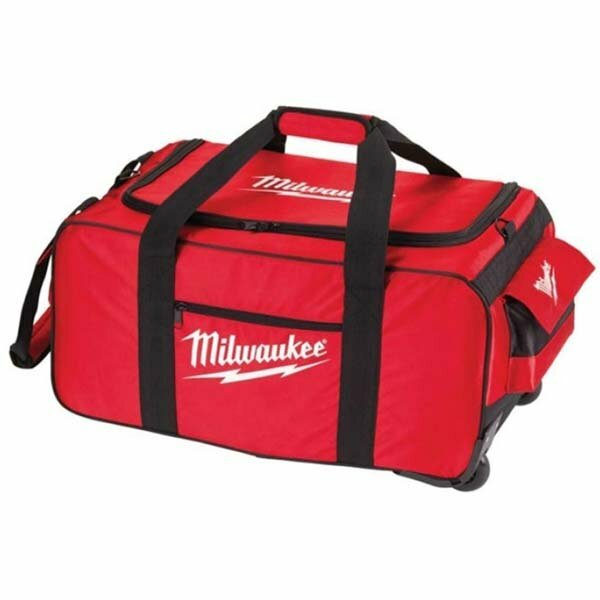 We have a variety of bags available from trusted brands Milwaukee and Ryobi. The bags are ideal for storing and transporting tools. The bags are available in a range of sizes to suit your needs. Also available from Milwaukee are the contractor work backpack which is designed with professional tradesmen in mind and can carry a range of equipment from tools, accessories to laptops. Ideal for the safe storage and transportation of tools, we have a variety of work tool bags and boxes to keep your equipment in top condition. Our power tool bags are available in a range of sizes to suit all your needs and they’re available from trusted brands like Milwaukee and Ryobi, so you know they’ll last you for years to come. Explore our full collection online to find the best tool box bags to use on-site or for your DIY jobs at home. Whether you’re looking for rolling tool bags with wheels, canvas tool bags or portable tool bags in the UK, Milwaukee have a huge range and you can trust that they’ll be well-made and incredibly reliable. Available from the Milwaukee work bag range is the contractor work backpack, which is designed with professional tradesmen in mind and can carry a range of equipment from tools, accessories to laptops. For storing your tools on-site, the Milwaukee jobsite tool box is ideal, with removable drawers and compartments so that you can adjust the box to suit your needs and to store all your tools. Take a look at our full Milwaukee tool box and bag collection to find your new work essential when working on-site. With everything from Milwaukee portable tool boxes to large tool bags on wheels, you should make SGS Engineering your first stop when you’re looking for a safe place to store all your tools.